When there is a roofing problem, there might also be a gutter problem. The same is true when it is your gutters and then your roof. This means finding someone that understands and specializes in both. You want someone that can come out and provide not only great service, but one that has a strong background in providing services for both points. A lot of times contractors that specialize in roofing also have knowledge of gutters, as well as gutter contractors specializing in roofing. 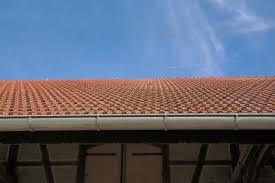 This is generally because the gutter is essentially a part of the home’s roofing materials. This way, when the contractor comes out to provide services for the roof, they can also let you know more about the gutter system around your home. When there is a problem with the roof around where the gutters meet, then you’d want to give the gutter professionals a call to come out. They can not only provide you with repairs for the gutters, but also with repairs for the roofing material that has been ruined due to the damage. They handle both jobs and understand how to do them both. It is important to ask the roofing or gutter contractor that you speak with if they’re able to do both types of jobs. You want to make sure that you’re working with the right professional before you hire them for the job. This can be done when you speak with each one of them and find out what they specialize in. If you’re ready to find the professional gutter contractor working in your area, give us a call here at Contractors Today or fill out the form on this page and we would be more than happy to help you get in contact with some of the reputable contractors working in your area.